And According to One Michael Fassbender, It's Going to Be "Super Scary"
"This ‘Alien’ is going to be… I’m very excited to see it and everybody in the film was saying this is a film that we all want to see. It’s much scarier than ‘Prometheus’ but it’s got the same sort of scope of ‘Prometheus’. 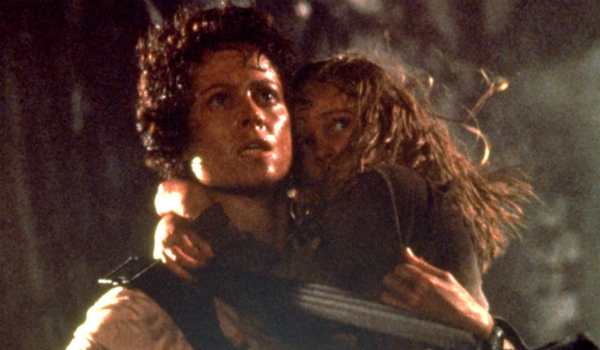 It’s kind of got more of the sort of thriller, imminent disaster feel that ‘Alien’ had, so it’s kind of a beautiful meeting of both of those films. 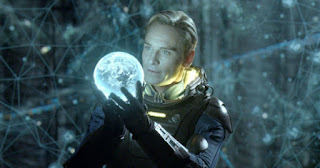 I’m really excited to see it, I think it’s gonna be super scary number one and then again with the massive scope of ‘Prometheus’… Once it starts and the ball starts rolling, it doesn’t let up. It’s really gonna bring chills to the cinema." Okay. That's sayin' a lot. What I'm getting, though, is that the true scares we get from horror ideally would come from a strong build-up, and that's exactly what Fassbender's talking about right here. We can say the same for the original Alien: the eerie and raw, quiet setting certainly set the stage for Cameron's space marines to knock the pins all down with fierce, thrilling awe. Fassbender might just be right.... Will "Alien: Covenant" knock it out the ballpark?